AMSTERDAM, and ORLANDO, Florida, Feb. 12, 2019 /PRNewswire/ -- Royal Philips (NYSE: PHG, AEX: PHIA), a global leader in health technology, today announced the launch of IntelliSpace Epidemiology, a solution that optimizes the detection of healthcare associated infections (HAIs) in the hospital. Philips IntelliSpace Epidemiology is the only decision-support solution in the U.S. that combines clinical informatics and genomic sequencing information from pathogenic bacteria, aiming to efficiently assist infection control prevention teams in identifying infection transmissions. IntelliSpace Epidemiology combines the areas that drive infection – such as patients, clinicians, locations or equipment – with clinical informatics and bacteria genomic information. The solution can display pertinent information in intuitive dashboards that fit into a clinician's workflow to enhance clinical actionability. This helps infection control prevention teams identify early outbreaks in the hospital so they can intervene and help to stop the spread, aiming to deliver improved patient and staff experiences, better health outcomes and lower costs of care. "Solutions that can bring together information on healthcare associated infections from across a hospital are vitally important to identifying and stopping infection transmissions before they progress and become dangerous to patients and care teams," said Felix Baader, Business Leader, Monitoring & Analytics at Philips. "With IntelliSpace Epidemiology, we're building on our leadership in clinical informatics and patient monitoring to support our overarching commitment to patient safety by piecing together all of this information to support the efficient identification of healthcare associated infections." "Clearly, we need to improve our ability to detect the presence and transmission of bacteria in our hospitals, both resistant and nonresistant organisms," said Dr. David Classen, MS, FACMI, CMIO, Pascal Metrics, a Patient Safety Organization (PSO), Professor of Medicine, University of Utah; and Consultant in Infectious Diseases and Clinical Epidemiology at The University of Utah School of Medicine. "Traditionally we've had to rely on fairly gross indicators of this problem but that wouldn't necessarily help us understand what kind of transmission is going on in the hospital. Now with whole genome sequencing, we can do this much more accurately and come to some important and quick conclusions that might have taken a much longer time in the past." On Wednesday, Feb. 13 at 12:15pm ET, Dr. Classen will speak in the PhilipsLive! Forum at the Philips Booth (#2101) at HIMSS to discuss the topic of "Leveraging HIT as a Clinical Tool for Patient Safety Improvement." Also on Feb. 13 at 3:45pm ET, Dr. John Fallon, Chairman of Pathology and Professor of Pathology and Medicine at New York Medical College will join Felix Baader in a Fireside Chat to discuss "The Power of Genomics and Informatics; Precision infection Prevention." 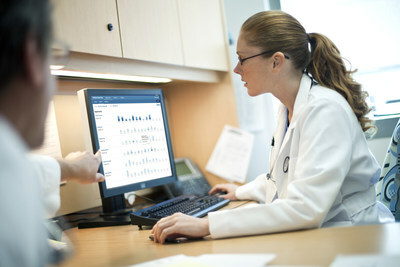 For more information on Philips' full portfolio of integrated smart enterprise systems, devices, software and services, including the latest news on IntelliSpace Epidemiology that will be spotlighted in Booth #2101 at the HIMSS Global Conference & Exhibition in Orlando, FL, Feb. 11-15, 2019, visit www.philips.com/himss and follow @PhilipsLiveFrom for #HIMSS19 updates throughout the event.